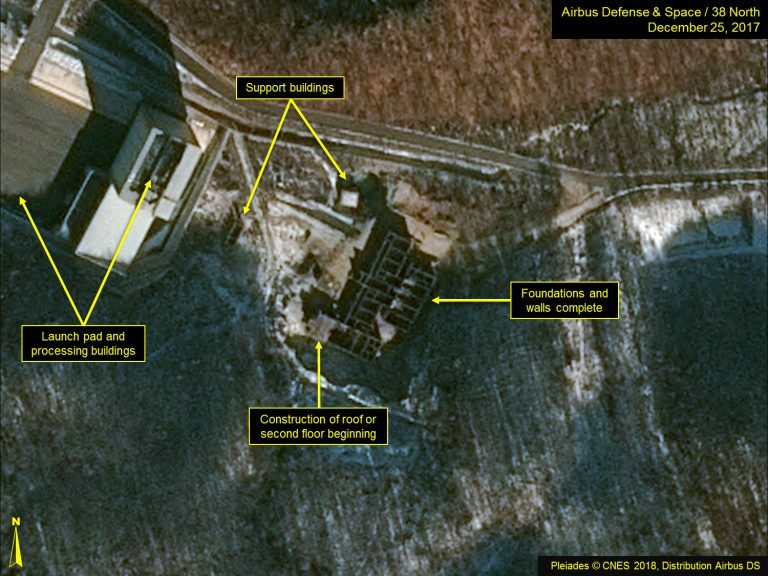 Recent commercial satellite imagery indicates notable progress has been made on a new structure approximately 50 meters southeast of the launch pad at North Korea’s Sohae Satellite Launching Station. Over the past five months, the structure’s walls have been erected showing what will likely be office, engineering or meeting spaces. Starting in late December, a roof or second floor was added to the southernmost section of the structure, and most recently a roof or second floor was added to the central section. 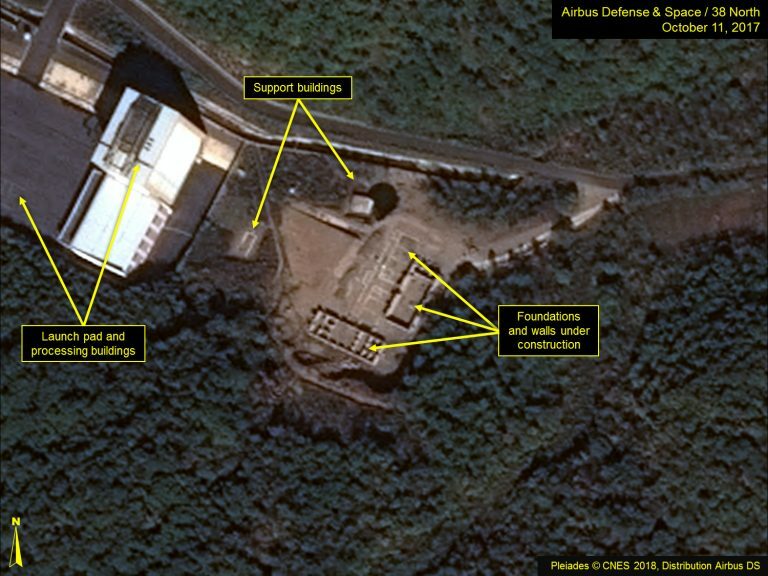 At present, the structure has a footprint of approximately 1,100 square meters. Floor space, however, will depend on whether a finished basement or second floor is added. 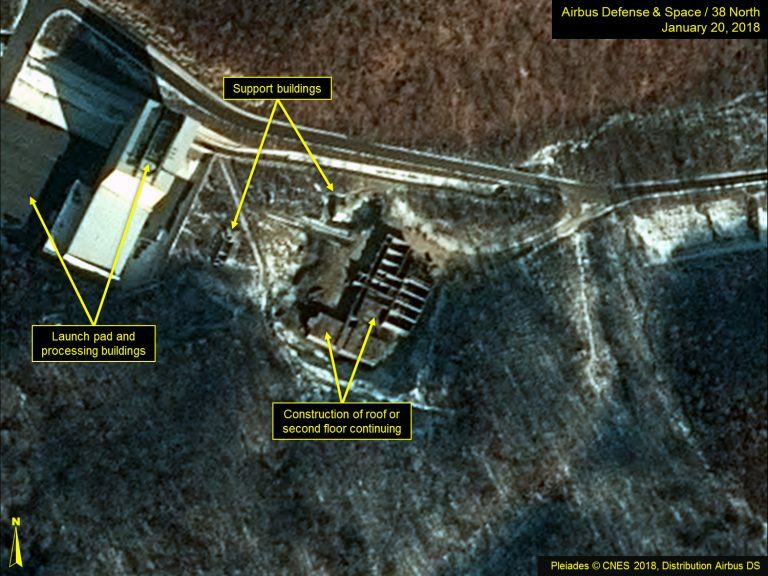 While it is too early to determine the purpose of this new structure, its close proximity to the launch pad strongly suggests that it is related to launch operations support. Figures 1-4. Construction of new structure progresses from October 2017 to February 2018. Note: Hover over slideshow and click on left/right arrows to navigate. The new structure was first noticed in March 2017. 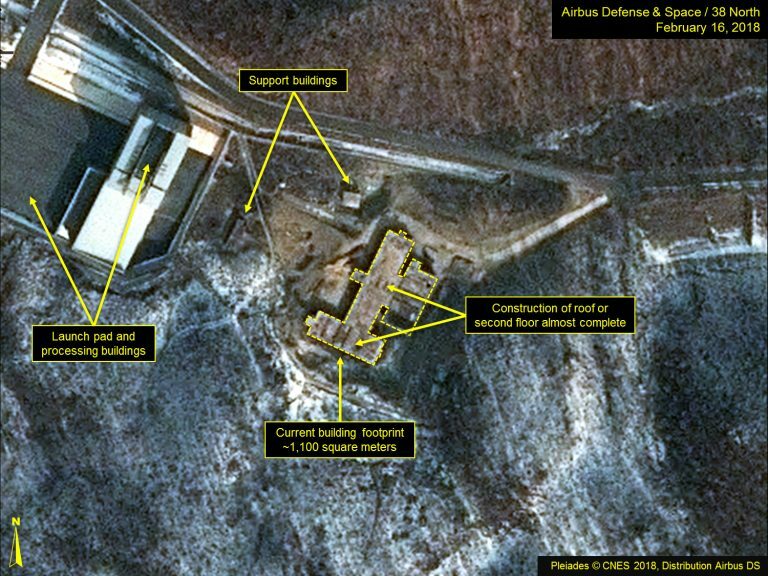 See https://www.38north.org/2017/05/sohae051817/.